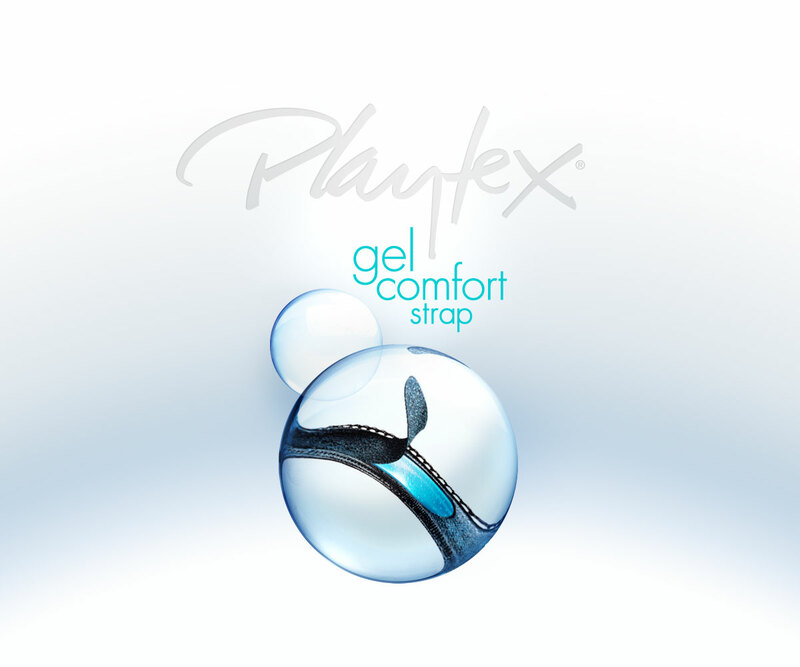 PACKAGING & ICON SYSTEMS – Playtex 18 Hour. We created a vast series of product feature illustrations covering almost all of Hanesbrands mass retail intimates product lines. The illustrations were used to create shopable instore systems, product wayfinding, icons systems to guide consumers in-store to find the best fit, support, comfort or tech attributes. Hanesbrands wanted to highlight a broad spectrum of internal key product features that were hidden from view, microscopic, or truly invisible. The 18 Hour gel strap is a good example. Few of the features could be photographed by conventional means to show the attribute in its best light. Our photorealistic CG and 3D capabilities played a significant role in telling the story in a compelling and beautiful visual way that consumers could instantly understand. From tech fabrics that breathe or wick away moisture to micro-bead encapsulated fabrics that reduce cellulite or innovative bras with spring tip no poke underwire. A great challenge and experience.